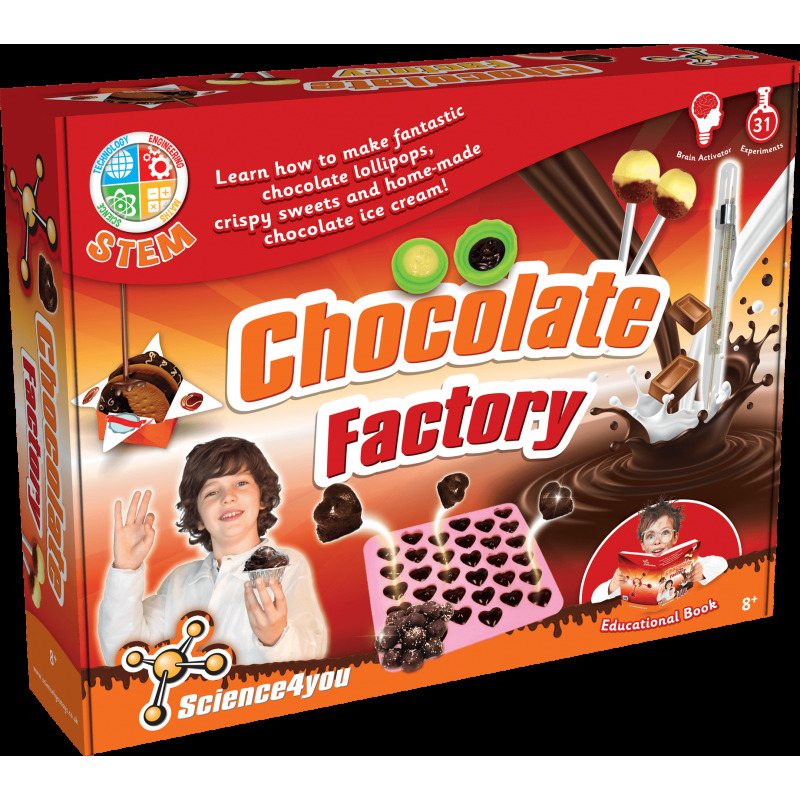 What will we get if we mix chocolate and science? 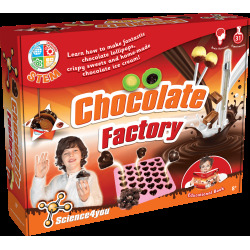 The Chocolate Factory of Science4you! Learn how to make fantastic chocolate lollipops, crispy sweets and homemade chocolate ice cream! 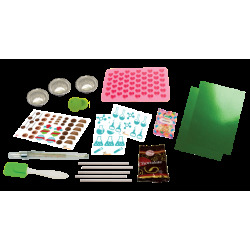 You also will love making delicious marshmallow teacakes and chocolate yogurts! All of this is combined with science! How to make chocolate lollipops. How to create fun chocolate cups with balloons. How to make delicious chocolate chip cookies. How to make chocolate salami, chocolate yogurts and chocolate homemade ice cream. 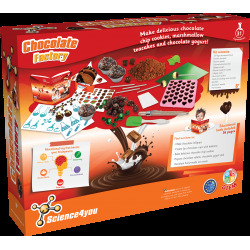 This toy include up to 31 experiments for kids as well as an educational book with 36 pages.